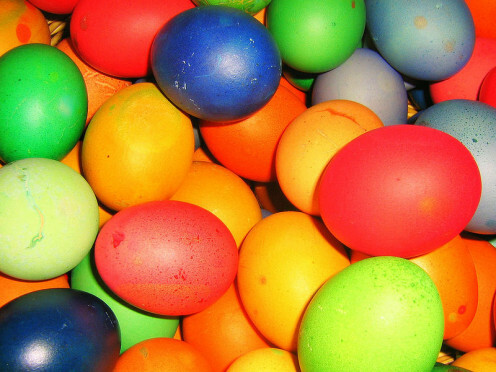 The most beautiful thing on Easter is the coloring of eggs. We all like to do it. Children the most. Chosing the colors for the easter eggs can be very fun. 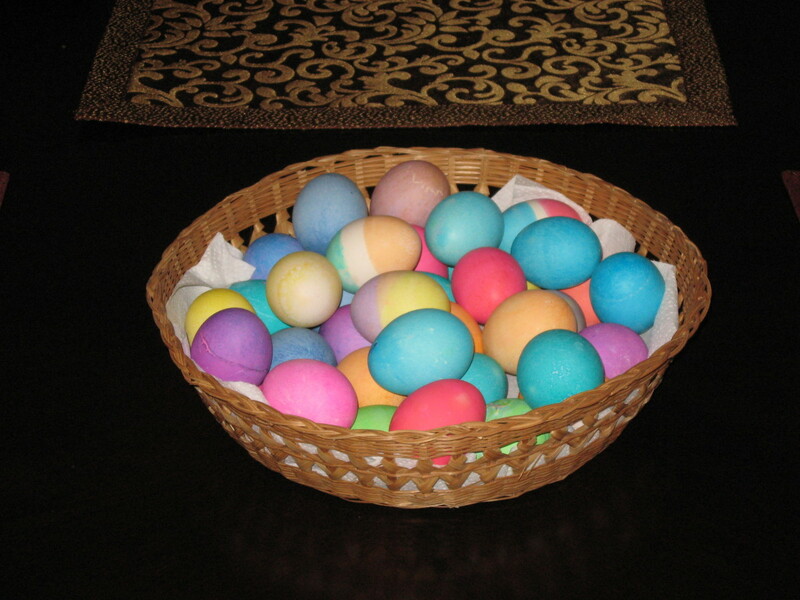 There are many different colors for making easter eggs and also many different techniques to make them. 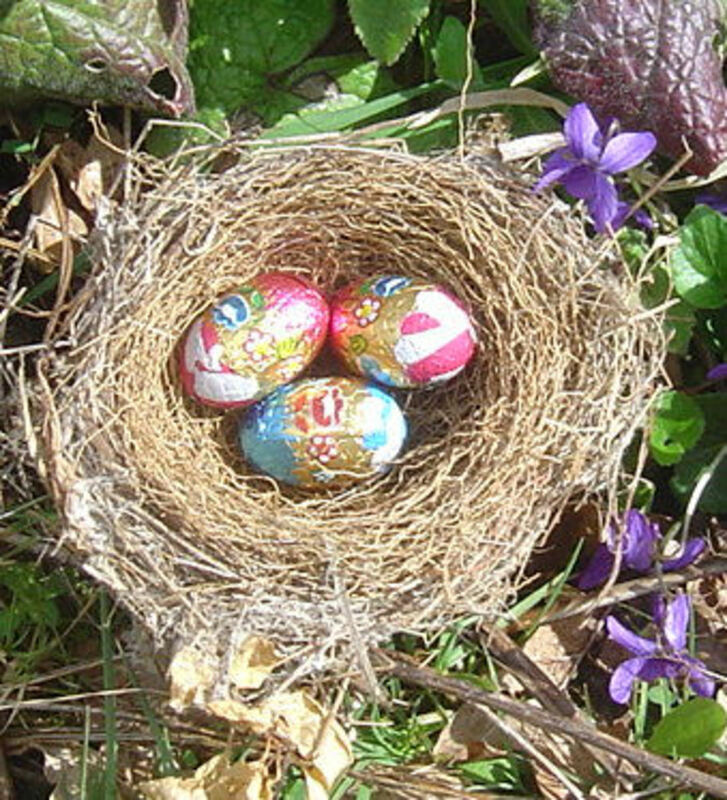 Children like easter even for the tradition, that they get some chocolates, some easter eggs and many other things. In our country this is very popular. For example: You take a little basket. Put inside one or two easter eggs, few chocolate eggs, maybe chocolate bunny, one orange and this is the perfect easter gift for children. 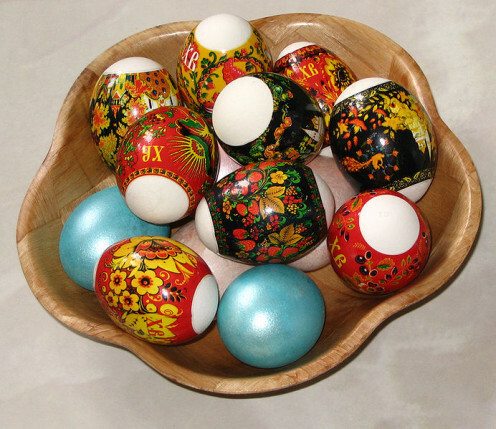 Many people like to cook the eggs and than color them. But, you have to watch out, that shell doesn't burst. 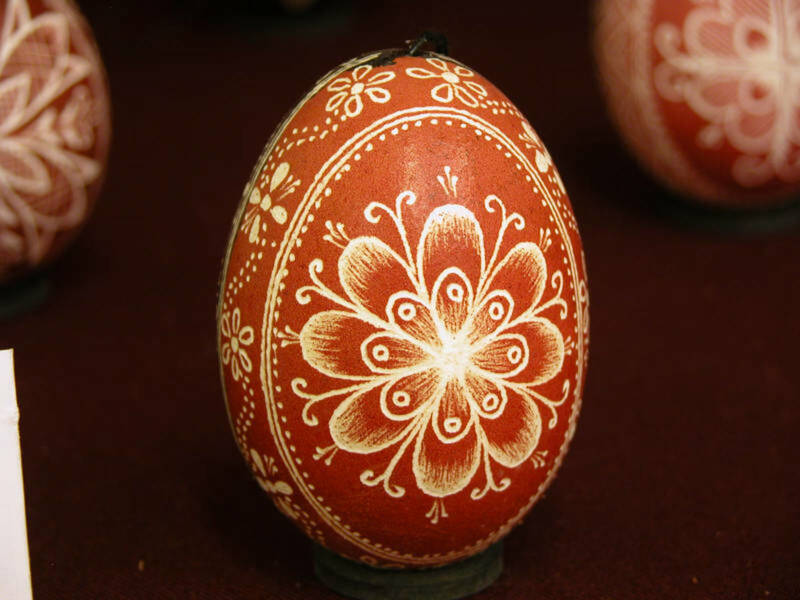 Popular way is also to make a hole on both ends of egg. Than you blow in one hole and on the other side the egg goes out. So you only have shell left. Than you take around 10 centimetres of wool and fold in half. Put it through the one hole in the egg and out through the other hole. Make a knot. 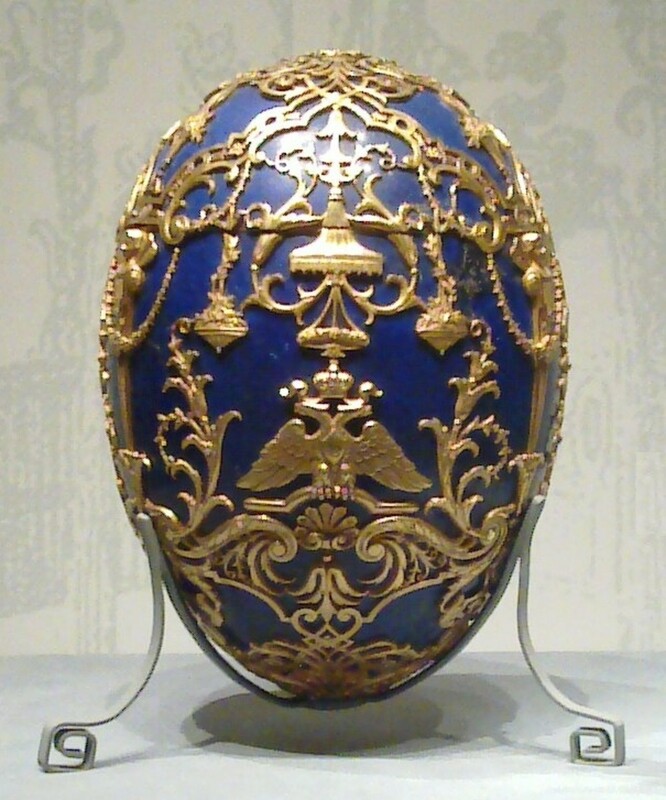 So now you only have to color the shell and you have the ornament. And you can hang it somewhere. 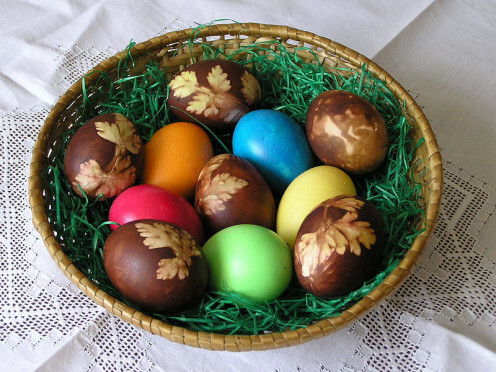 Second popular way of coloring eggs is the one which our grandma's are using: Onion colored easter eggs. Take the eggs, put various plants on them, turn into the tights. Put water into high pot and add onion peels. You must use at least three big onions for this. Than put eggs in this water and cook. When you take them out, remove the tights and they'll be beautiful brown colored. 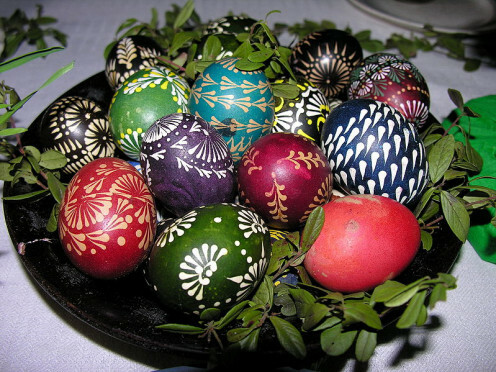 This is also traditional Slovenian coloring of easter eggs. 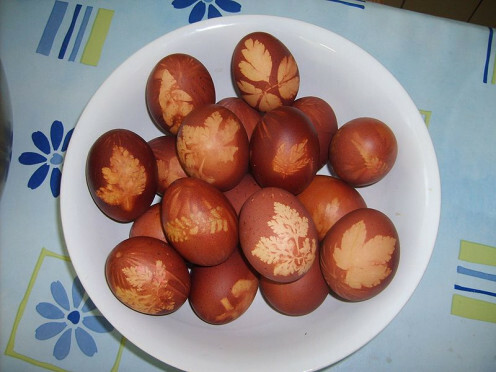 Some people also like to cook the eggs and than just put some sticks on them. There are many popular sticks in markets. You just take the stick, put it in water, wait a few minutes, take them out, put on egg and slowly remove the paper of stick. 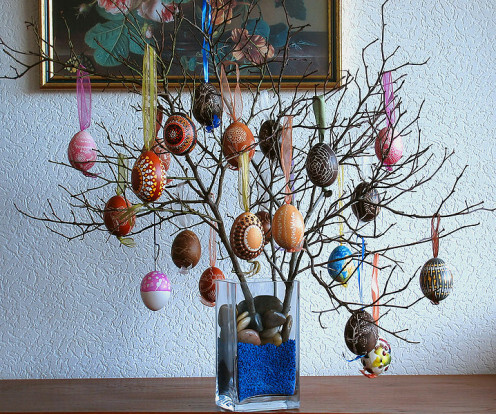 Many different sticks are available - from the little ones, to those, which are through the whole egg. Thanks for the tips. 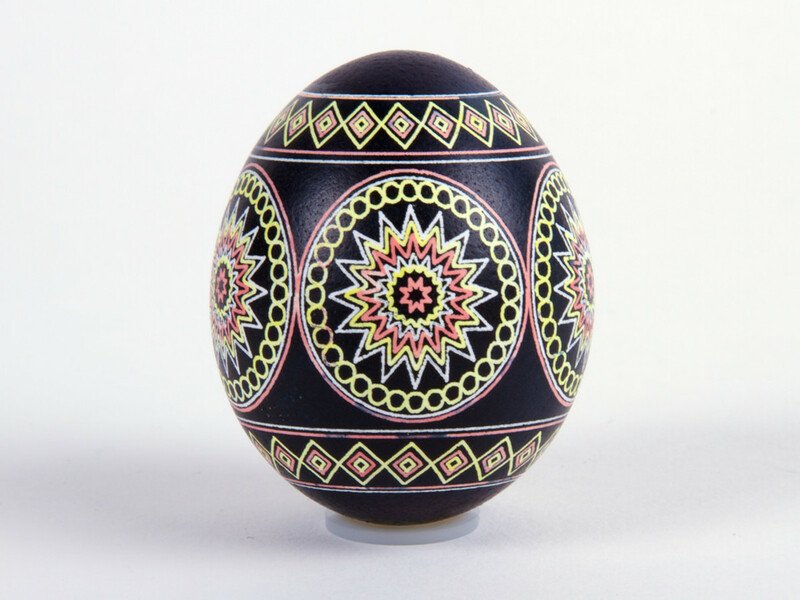 I have the egg shells and couldn't figure out how to color them. thanks.